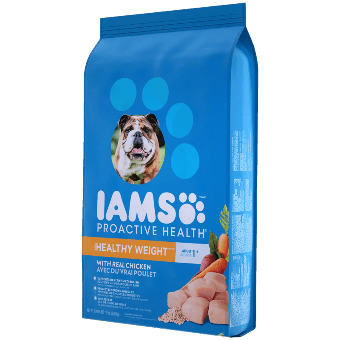 Our dry dog foods are formulated with high-quality protein such as chicken, lamb or fish, and contain all the essential nutrients dogs need. 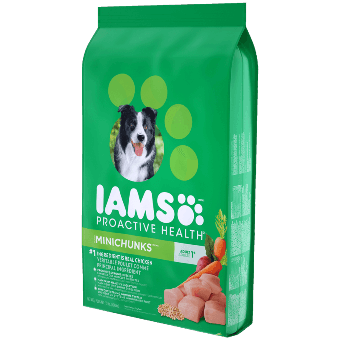 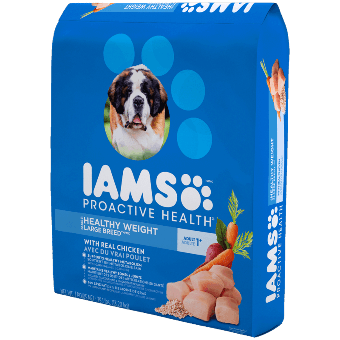 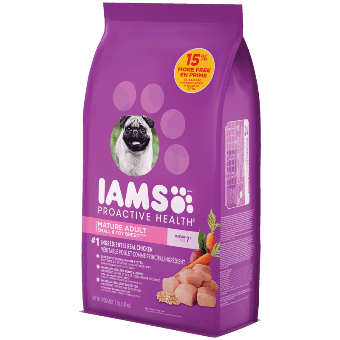 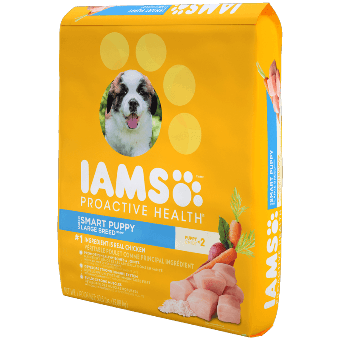 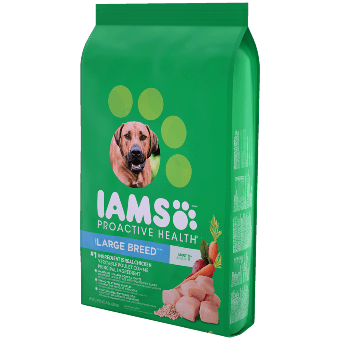 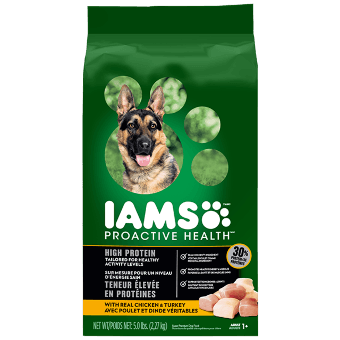 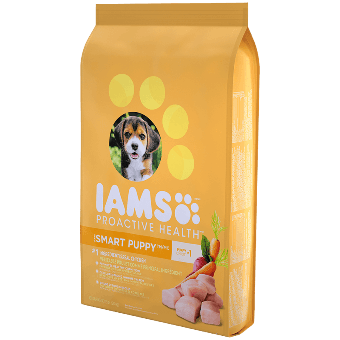 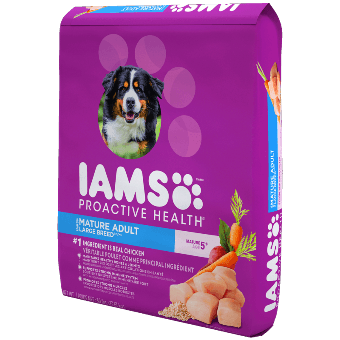 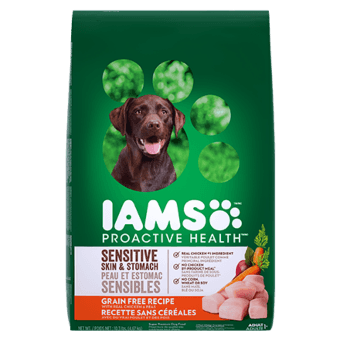 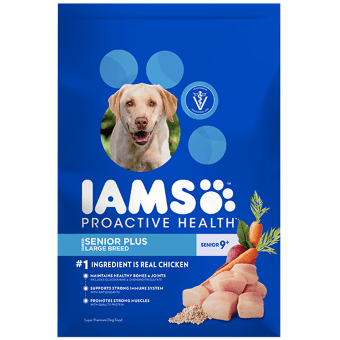 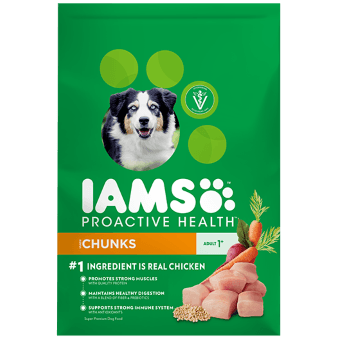 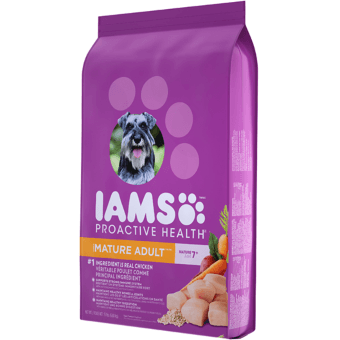 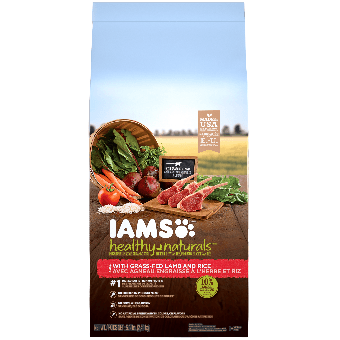 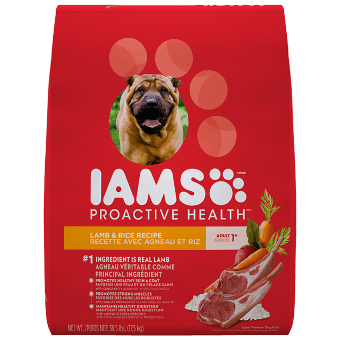 IAMS® PROACTIVE HEALTH® is crafted with wholesome ingredients including Omega-6's for healthy skin and coat, and L-Carnitine to help burn fat and maintain a healthy metabolism. 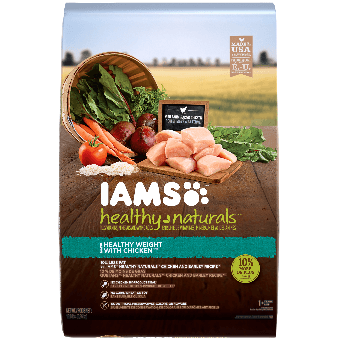 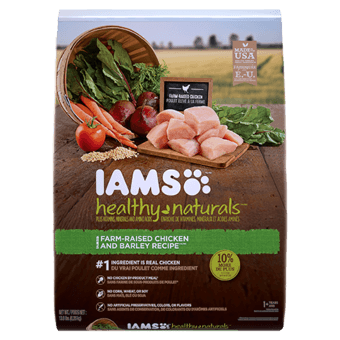 IAMS® HEALTHY NATURALS® formulas are made with high quality ingredients and contain no corn, wheat or soy. 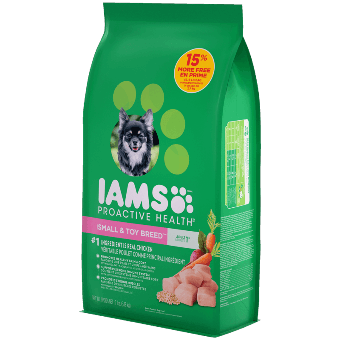 There's certain to be an IAMS® dry dog food your canine pal will love.